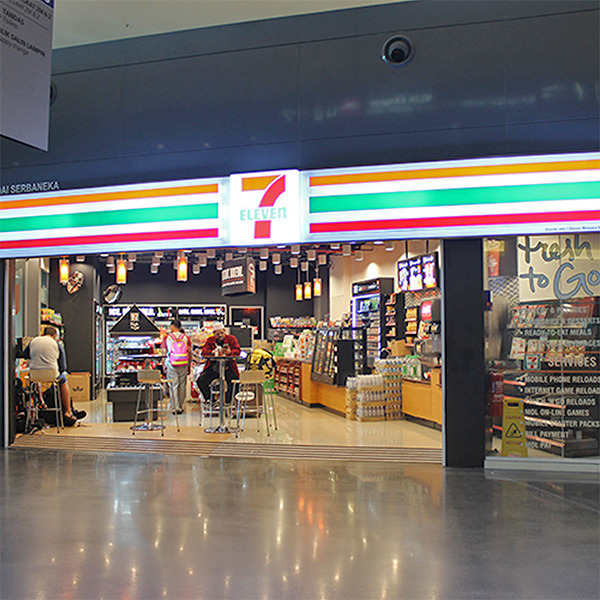 As the single largest 24 hours convenience store chain in Malaysia, get ready to enjoy 7-Eleven’s huge variety of products including the latest Fresh to Go which offers a wide range of fresh packaged ‘halal’ food delivered daily. Among the offerings are Malaysian’s favourite Nasi Lemak and Chicken Rendang, salad, assorted sandwiches and much more at affordable prices. Sit back and relax with a hot cup of Sip N’ Savour beverages or enjoy our signature Gulp and Slurpee in our new and improved setting equipped with seating area and free WiFi! You can also enjoy our in-store services including mobile reloads, Touch 'n Go reloads, bill payment, ATM , as well as our latest online gift cards! With our regular attractive promotions, as well as exciting contests and product offerings, there is always something new to look forward to in every visit.